Two in one: the official Qualifier Plus® IIIx from Calculated Industries for your iPhone and iPad includes two models: #3415 and #3430 (Qualifier Plus IIIfx). And while perhaps obvious, if you change from an iOS device to a non-iOS device, you WILL need to buy a new license as they are incompatible. Advanced Residential and Commercial Mortgage Finance Calculator for Agents, Brokers, Investors, Attorneys, Loan Officers and other Mortgage Industry Professionals The Qualifier Plus® IIIx app from Calculated Industries gives real estate and mortgage professionals the power, portability and ease-of-use of the Qualifier Plus IIIx and Qualifier Plus IIIfx on your iPhone or iPad. Get instant access to P&I, PITI and total loan payments for conventional, FHA and VA loans. Includes complete buyer qualifying and more. Ideal for all real estate finance professionals including agents, brokers, investors, mortgage lenders, title offices and trainers. Need answers to both common and advanced real estate finance problems? 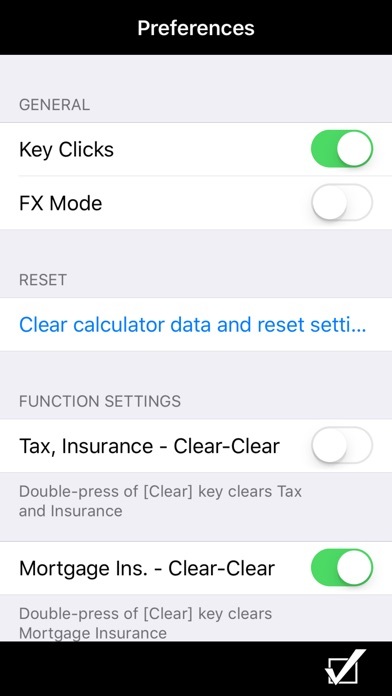 Just pull out your iPhone or iPad, tap on the Qualifier Plus icon, and you’ll have the answers for your client in seconds. • Complete Cash Flow solutions including Internal Rate of Return, Net Present Value and Net Future Value • Qualifying keys provide on-the-spot buyer qualifying for conventional, FHA and VA loans • Instantly solve your clients’ real estate finance questions • E-mail loan worksheets to your clients from your iPhone Built-in functions help you find instant solutions for: • Calculate IRR for multiple cash flows • Amortizations with remaining balances • Bi-weekly loans and ARMS • Rent vs. Buy comparisons and estimated tax savings • Future Value, property appreciation FEATURES: • Created by Calculated Industries, the originator of the Real Estate Master and Qualifier Plus Real Estate and mortgage calculators • Amortization screen lets you see all amortization or loan data at once and e-mail it directly from the app screen on your phone • Built-in help – just press and hold the desired key for full, clear definitions, explanations and examples of keystrokes Time-saving Utilities Include: • Date Math function lets you instantly see closing and expire dates • Triple Zero key saves time and keystrokes • Memory Function • User-Definable Preferences — define and store payments per year, taxes and insurance Special Functions: • Entry-editing backspace key – with a swipe of a finger • Works as a standard calculator • Free User Guide available at www.calculated.com TRADEMARKS: TRADEMARKS: Qualifer Plus® is a registered trademark of Calculated Industries, Inc. Fantastic application. The email integration with the calculations and reports is simple and extremely effective. 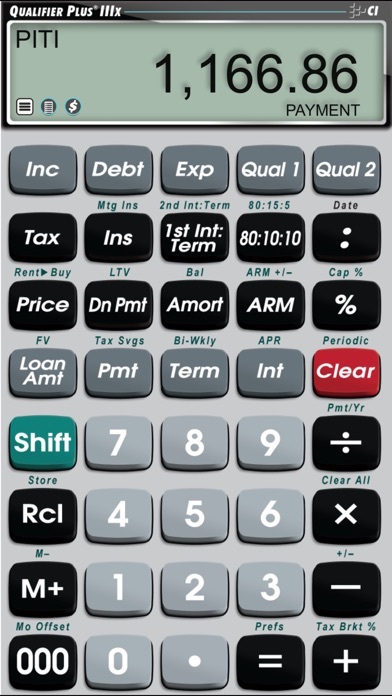 As a mortgage broker I would use and carry around my handheld CI-calculator daily. A must have in the mortgage industry. I somehow stumbled upon this app and it's worth every penny. I'm shocked that I did not have this sooner. The UI is clear and super responsive. This app has so many additional features that are helpful to my business and I don't have to worry about my batteries dying. With the touch of a button I can email a detailed payment breakdown to the client. Amazing tool for mortgage professionals. Would give 5 stars if I knew how to use all the features, hint, hint! Can you send directions? Have been using the Qualifier for over 10 years - it is the industry standard and for good reason. When I found the app for my phone I was thrilled. 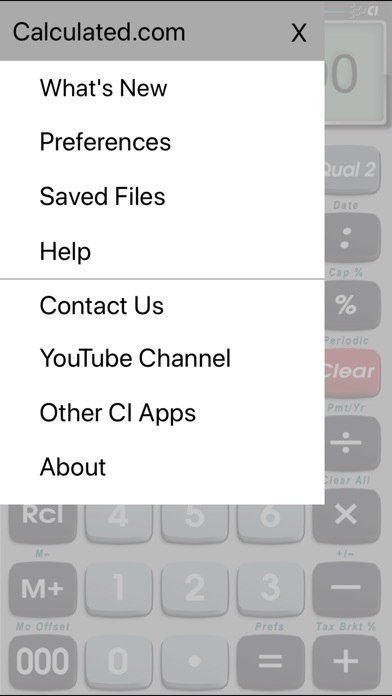 We have been paying $45+ for our agents over the ears at $20 and not having to carry around a calculator is great! This calculator does it all and very quickly! I especially like the email feature for sending to my clients. Use it all the time. Works perfectly every time. 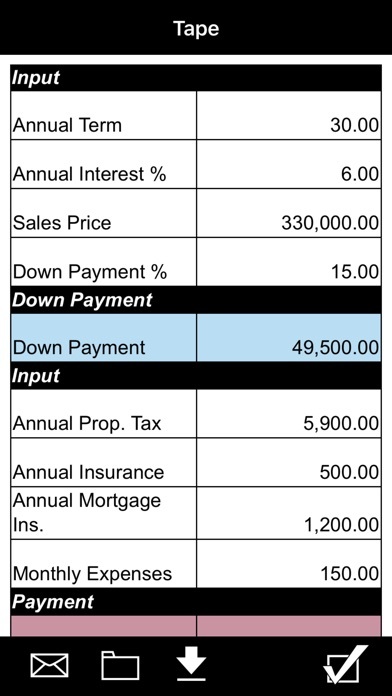 Complicated, but, provides comparisons of loans with MI and 80/10 or 80/15 products. The original, mechanical Qualifier had been my steady companion for over a decade. 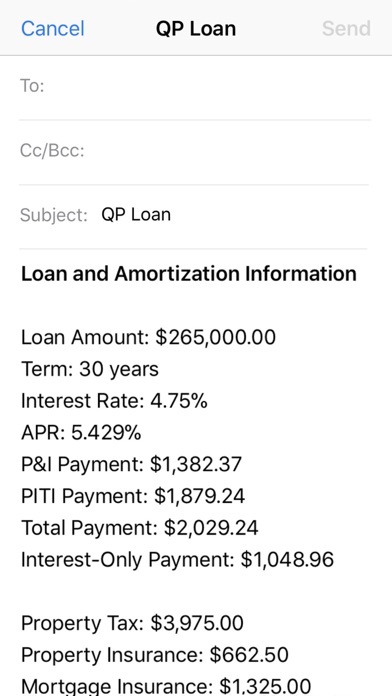 This digital version for my iPad and iPhone brings even more features, and places them in my pocket and handbag to whip out whenever a prospect, client or Realtor needs detailed info on a loan scenario. Quickly summing up the details of a qualification, the app then allows me to immediately email the results and a personal message to the principles involved, archive the info, share it with my assistant, compare programs, and demonstrate the findings on the spot. Wonderful tool! Have used it at least 5 times when having a conversation at a bar or on a golf course. Probably got two deals from having it handy. More than pays for itself!